As a millennial, this is not conforming to the 'trend'—doing it because your friend do it. For me traveling is a form of continuous education. No masteral and doctoral degree could ever teach you the way traveling does. Millennial—this is a term coined to describe the contemporary group of young people where I belong. We have set a distinct virtual border of the past and of the present. We are more vocal and outspoken. We were born just in time for the digital age. We have social media accounts. We integrate apps in our daily activities. We love freedom. We love independence. We break the traditional rules. These are the general millennial rules but it's not absolute though. Embracing the new culture that I'm assimilated with isn't a matter of choice. It was destiny. I conformed because it's beneficial for my existence as a millennial. 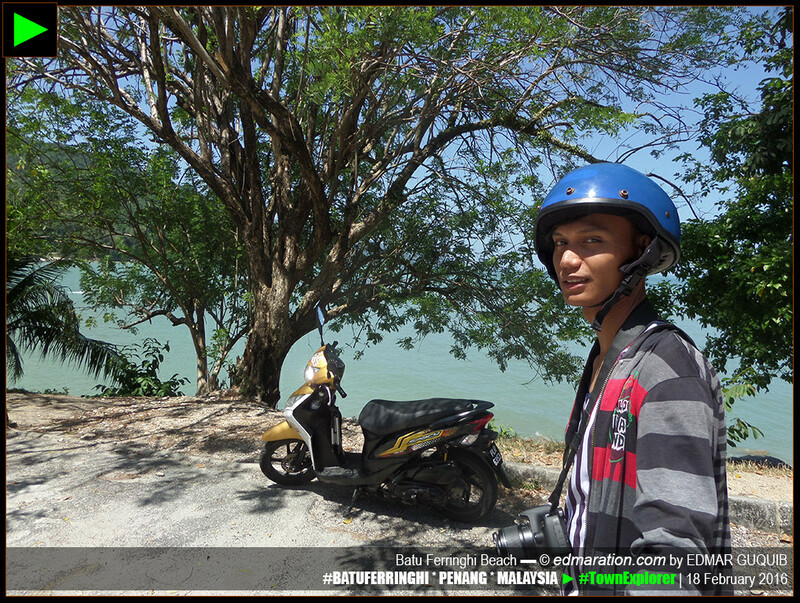 I started backpacking and riding a motorbike (long-distance travel) in 2010. I focused in traveling the Philippines for 5 years. Traveling abroad has always been added on my bucketlist but I didn't rush things. I wanted to prepare myself. I wanted to become a matured traveler first before I hit places outside my country. [BATU FERRINGHI] ► THIS BEACH WAS THE FIRST BEACH I VISITED OUTSIDE PH. I've always believed I would likely enjoy more of my journeys if I would have a deeper understanding of my role as a free individual, as a traveler and as a millennial. I wanted to gain more travel experiences, knowledge and travel hacks before traveling to a foreign land. The best place to grow and self-train as a traveler for me is no other than my homeland ▼ PHILIPPINES . I've learned a lot. I understood the economics of tourism and traveling. I was exposed to many types of people in the travel industry from the marketing staff of a 5-star hotel to a souvenir vendor in the street. I learned to become a responsible tourist while mastering the art and science of travel fund management. Basically, these are just some of my weapons in this travel battle. When I've come to that point of convincing myself that I am already ready to go out my comfort zone—matured enough to discover the essence of traveling or backpacking as dictated by my own understanding—I pushed my first backpacking abroad. The harvest was ripe. 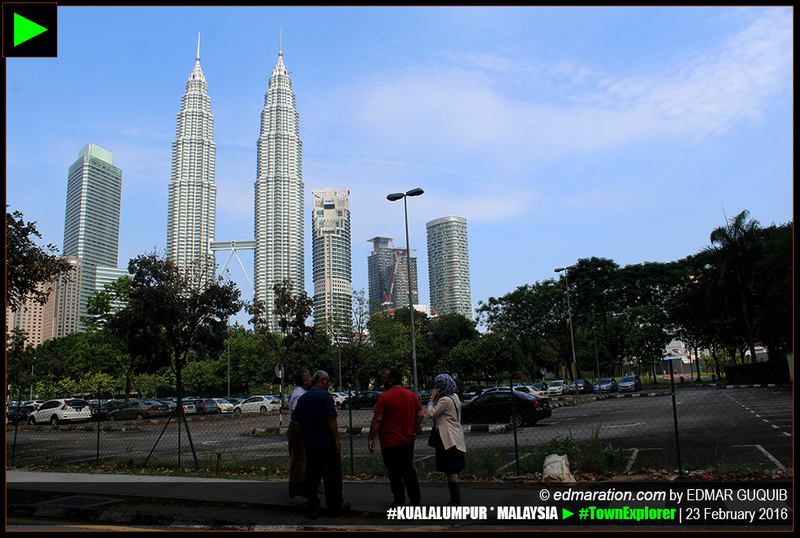 [KUALA LUMPUR] ► WITH THE ICONIC PETRONAS TOWERS AT THE BACKGROUND. As a millennial, this is not conforming to the 'trend'—doing it because your friend do it. For me traveling is a form of continuous education. No masteral and doctoral degree could ever teach you the way traveling does. I am thirsty for knowledge. I am thirsty for knowledge because I want to search for the truth. I want to search for the truth because I want to change the world based on truth. Traveling abroad is not a race nor a competition. In my personal perspective, even if you've traveled the whole world if you didn't gain a substantial learning from the countries you visited, it's not remarkable (this is just my opinion). When I said learning, this is not limited to the facts and data you learned. It's not about knowing how big the country is, the total population, the number of temples nor memorizing the government officials of that country. It's about how your experiences changed you as an individual for the better, how the culture you experienced taught you to become open-minded, how your bad experiences changed you to become an understanding and versatile individual, how your feelings those travel moments transformed you to be a compassionate, humanitarian individual. 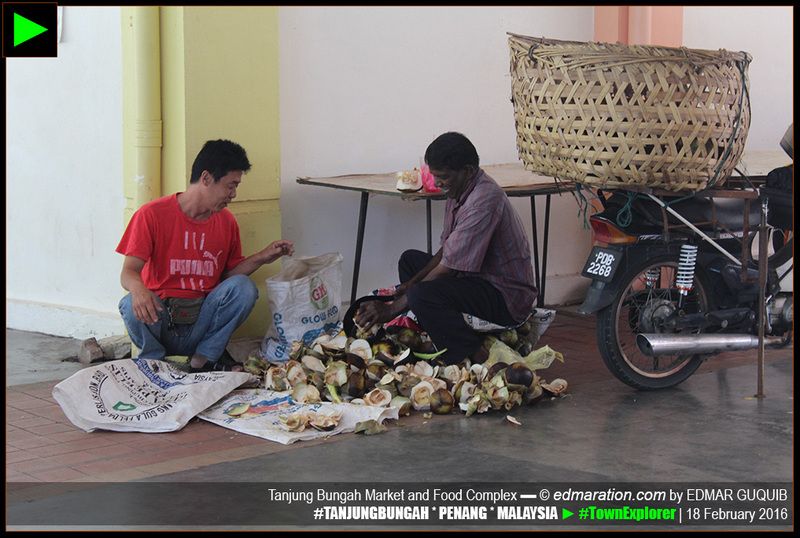 [TANJUNG BUNGAH] ► MARKET VENDORS IN TANJUNG BUNGAH TOWN: BEFORE I VISITED MALAYSIA, I HAD A WEIRD THOUGHT THAT EVERY MALAYSIAN IS A CORPORATE EMPLOYEE UNTIL I SAW THIS. THIS IS HUMBLING. TRAVELING TAUGHT ME TO APPRECIATE THE BLESSINGS I HAVE AS A FILIPINO. I feel sad to see some individuals labeling a person who never traveled abroad as a "less-traveled individual" and a person who has traveled abroad as a "real traveler" or a "seasoned traveler." The truth is, everyone has a style. If traveling is a race or a competition, it would be hard to enjoy it. It would be a pressure. The best destination opens its doors at the right opportunity and at the right time—right where you can enjoy the sweet spot. How I Planned This Backpacking? Aside from the qualitative preparations I mentioned above, this is the technical part of my travel planning. I booked a cheap flight to ▼ #KUALALUMPUR from ▼ METRO MANILA when the airline company offered a seat sale. I really didn't mind what should be the country I'm gonna visit first. My strategy that time was to book the cheapest flight, whatever the country is. This was not an impulsive booking. This was an opportunity to grab. Take note that I'm already emotionally prepared to travel abroad when I booked this flight. Randomly choosing a country I should visit first wasn't an irresponsible act. I know you should consider many factors first before traveling to another country but travel planning for several months can help you personalize the random country you're intending to visit. Anyway, the cheapest international flight that time was a return Manila-Kuala Lumpur flight. 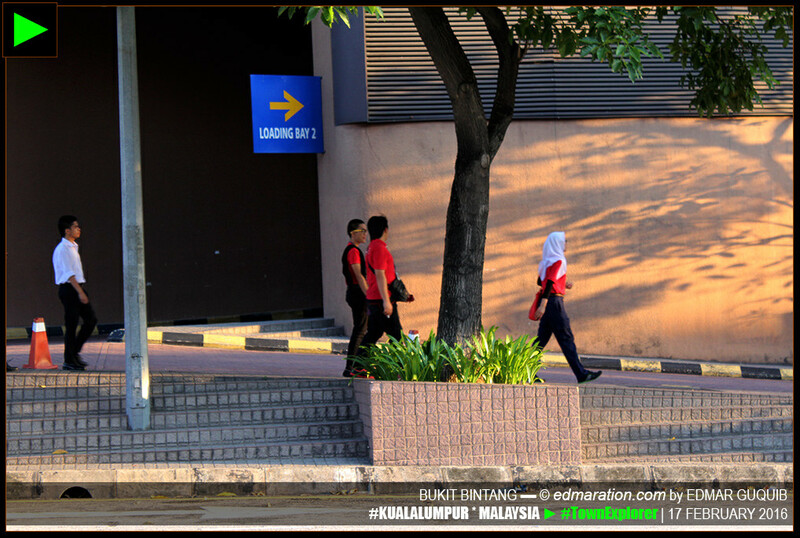 So yes, it's ▼ MALAYSIA —my first country outside the Philippines. [GEORGETOWN] ► THIS IS MALAYSIA, THE FIRST COUNTRY I EXPLORED OUTSIDE PH. 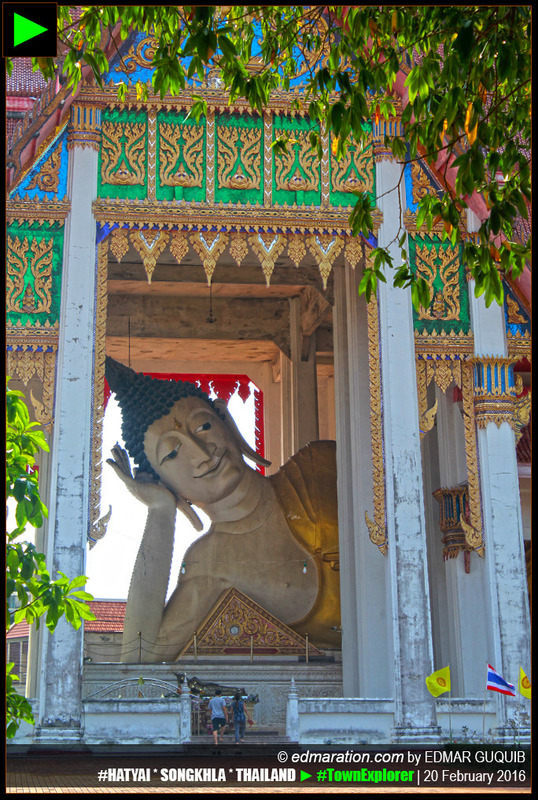 Since I had an ample time for this backpacking, I included Thailand on my 15-page itinerary for the whole course of this trip. I started planning a month before my travel dates. I had to know some travel basics like getting ringgits and bahts, traveling to and from the airport, accommodations, commuting routes and interesting places to visit. I stayed in a dormitory-type room with bunk beds. There are other guests when I entered the room. They were all white travelers. I was the only Asian inside our room.
. I searched Google Map for the location of this hostel and obtained screenshots of the location, the way from the train station and some helpful landmarks. I also obtained screen shots of the location of all the train and bus stations I might use that time for commuting. This is the Google Map screenshot of Bukit Bintang saved on my tablet. I added some red marks to easily locate for the places I'd like to see. On my itinerary, I plotted a daily plan for all the activities I'm going to do, the destinations I'm going to reach and the estimated expenses for each activity. My planned budget for this backpacking was 1000 pesos daily inclusive of accommodation, fare, food and other expenses. Of course, I have emergency funds with me just in case I cannot do the 1000-pesos/day budget or if I have additional expenses that I didn't anticipate. The long bus rides consumed most of my budget. Sometimes, the 1000-peso self-imposed rule was hard to execute not to mention that I'm a great eater and sucker of flavored canned or bottled drinks. On my itinerary, I plotted the time when to arrive and leave. I also included popular landmarks that would serve as my guide just in case I might get lost along the way. Basically, this is a solo backpacking—solo motorbikepacking to be exact. I explored my destinations using a motorbike. 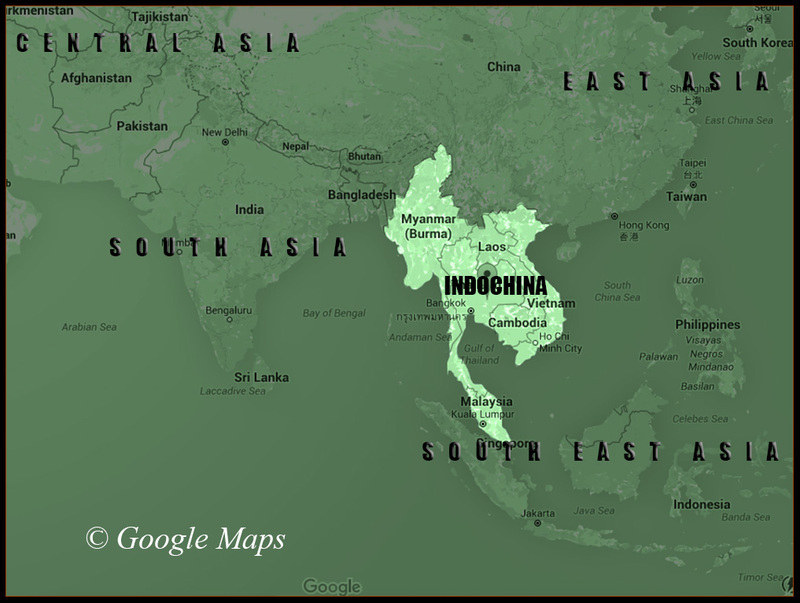 My destination was Indochina, a region in ▼ SOUTH EAST ASIA sandwiched by the Indian subcontinent and the Sinosphere. This region was also influenced by both Indian and Chinese cultures. I managed to visit two of the countries that belong to this region geographically—Malaysia and Thailand. Traveling by land has this magic. Before this international backpacking, I've tried traveling from my hometown ▼ #VIGAN up north to the city of Davao down south by land and sea. Although there are cheap flights to cover this route that is way more convenient, traveling from ▼ LUZON , Visayas to Mindanao without riding an airplane is magical for me and no airplane can provide that travel magic. While it is possible to travel by land in the Philippines in long distance, the missing ingredient here is the lack of international land border because the Philippines is an island nation. However, inter-provincial land border crossing is my most favorite part in all my travels. I really love the shifting from one place to another. Now that I had a chance to travel to a big landmass shared by many countries, I didn't want to miss the opportunity to do my first ever international land-border crossing—Malaysia-Thailand land border. While planning this trip, one of my friends advised me to search for flights from Malaysia to Thailand because sometimes the airfare is even cheaper than the bus fare but I stuck to my original plan—to travel overland. Actually, I'm in love with long bus rides while my playlist is on. I traveled from Kuala Lumpur to Pulau Pinang (Penang Island) by bus. I enjoyed it. 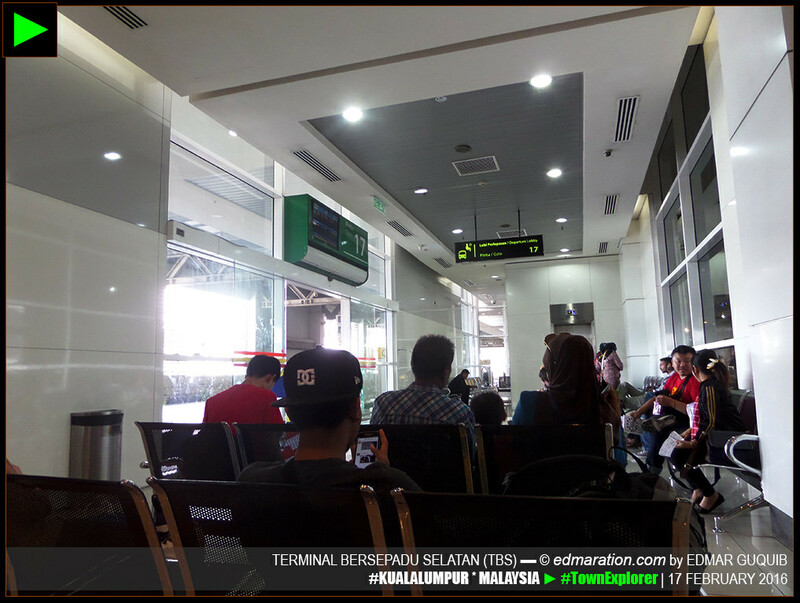 It's nice to see the huge, beautiful and well-organized transport terminals of Malaysia. Many foreigners are using these terminals to travel. Bus terminals are equipped with escalators, clean restrooms, convenience stores and restaurants. Pulau Pinang is connected to the mainland by two bridges. One of the bridges is the longest bridge in South East Asia called the Penang Bridge. Take note that Penang Island and Penang State are two different geo-political names. Penang Island is under the jurisdiction of Penang state. The capital of Penang state is Georgetown. 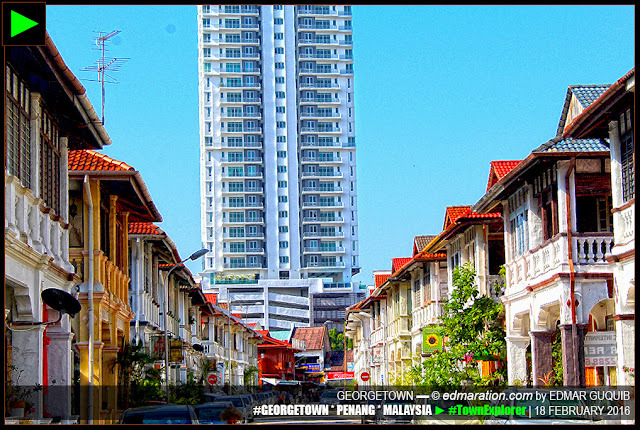 Georgetown is located in Penang island. It's a big bustling world heritage city located along the Penang Strait, an important and busy shipping route. On my first day in Georgetown city, I decided to explore it on foot as recommended by many travel forums. Actually, Georgetown is meant to be explored on foot. I booked a hostel right within the protected world heritage district where I enjoyed a mixture of culture. I planned this walking tour back home and like what I've mentioned above, I took a screenshot of Google Map all the places I would visit. Part of my printed itinerary is a column providing a basic history and information of the places I would see. 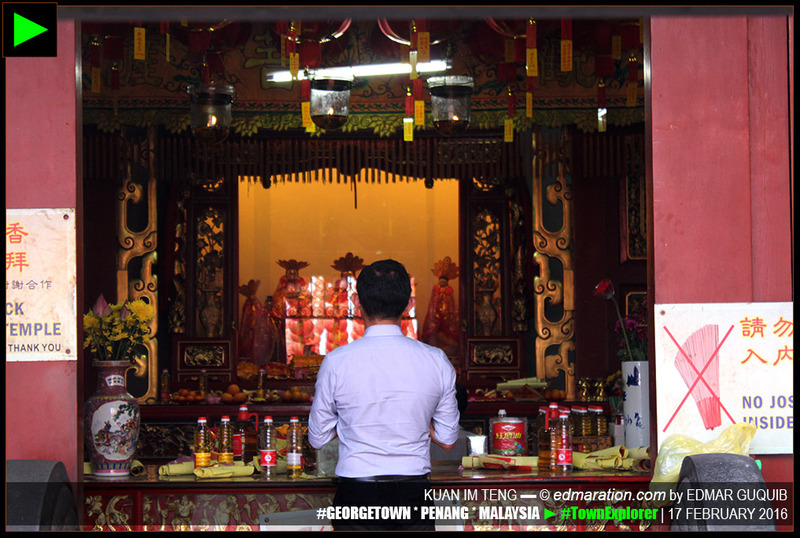 The heritage district of Georgetown is a laid back city inhabited by three races that live harmoniously—Chinese, Indian and Malay. Many of its temples and houses are centuries-old. The city has a Chinatown and a Little India. I wasn't able to visit all the destinations I planned to see in one day so I did another walking tour the next days. When I finished seeing all the places listed on my itinerary, I did another walking tour—this time, spontaneous. I just fell in love exploring the town on foot aimlessly. The next days, I rented a motorbike to explore the whole island. It was my first time to drive on a left-oriented road. I was a little bit nervous since the streets of Georgetown and its neighboring towns are wide and busy. 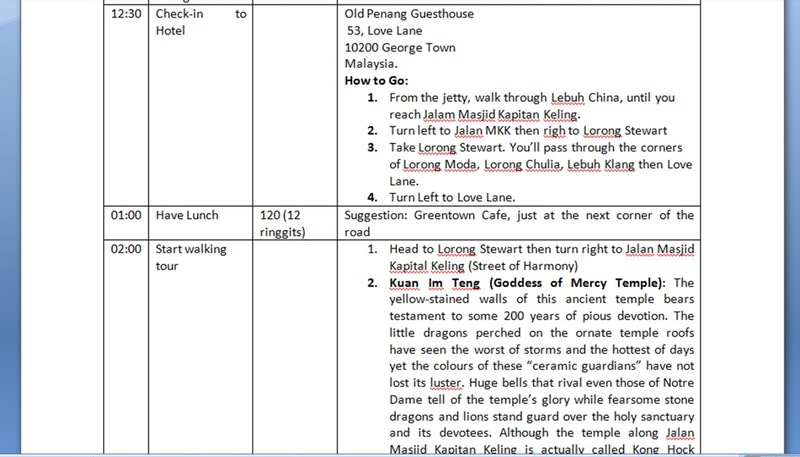 I also prepared an itinerary for my motorbike trip. I visited some temples I've never seen yet in Georgetown before I left this beautiful city to see the rural side of the island. I braved the busy road of Tanjung Bungah and Tanjong Tokong. When I entered the touristy beach town of Batu Ferringhi, the city vibe started to fade. Everything was a serene scene of peace and calmness. The roads started to become near-empty. Rural living is here! I visited a waterfall (where I lost many times), a seaside Hindu temple famous for its annual floating chariot festival and the beaches of Teluk Bahang. I also hiked to the highest point of Penang island solo and reached the Lighthouse (founded by the British who colonized Malaysia) before dark. I enjoyed the secluded Monkey beach too. After the 4-hour return hike in Penang National Park, I left the place and accidentally discovered a Chinese fishing village where I ate delicious Malaysian food and beverages. I passed by a beautiful lake in Balik Pulau and savored the beautiful sunset. As I braved driving a motorbike at night in the midst of fast-moving cars in a busy highway, I had lots of panic attacks along the way when I started to get lost. I wasn't able to find my way back to Georgetown and I spent two hours driving around (being lost) the busy streets of the east coast of the island. I had ridiculous regrets of pushing this motorbike adventure. I wished I never did it. I thought I'm gonna die in an accident. I was so nervous of running out of gasoline and be stranded at night out of nowhere. Ahhh! It rained! I almost cried on the road when I realized there's no one I know whom I can ask for rescue. (Did I survive this trip? More stories and details about this motorbike adventures on my upcoming episodes. 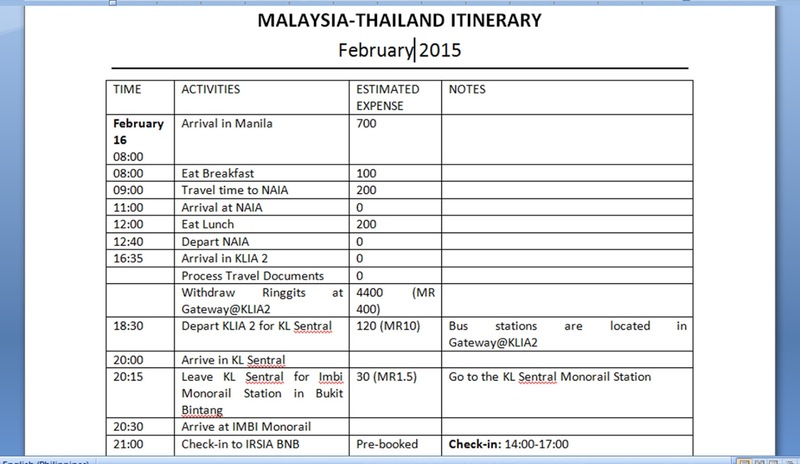 This post is just the summary of the Malaysia-Thailand backpacking). After a fulfilling stay in Pulau Pinang for several days, my first international border crossing came next. I'm going to Thailand! I rode in a vehicle they call as minibus. In the Philippines, we refer it as PUV. With me inside the minibus are Muslim passengers (at my back), Thai woman married to a white man and the rest was a group of white backpackers from the United States and Europe. For the very first time, I crossed an international border. 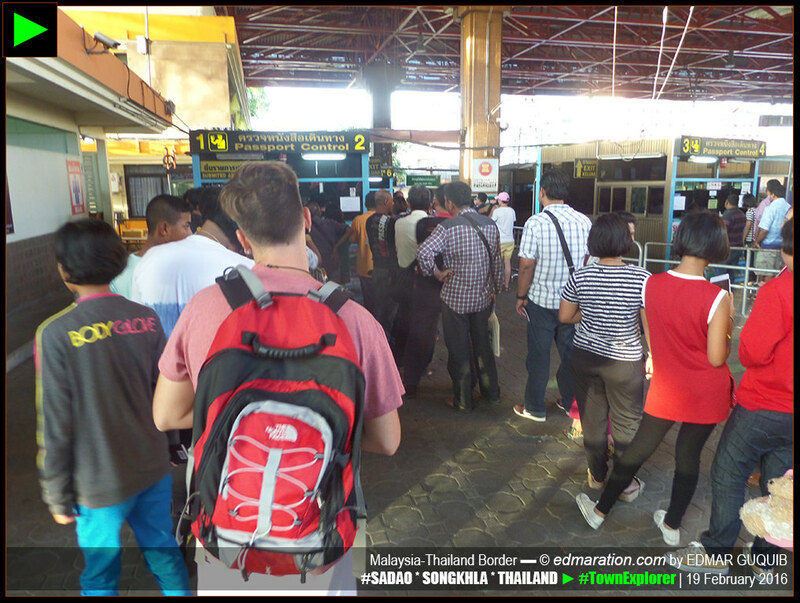 I left Bukit Kayu Hitam, a border town in the Malaysian side and entered Sadao District via the border town of Samnak Kham in the Thailand side. It's a little bit puzzling to me because most people here call the Thai border town as Danok. In Thai, danok means 'small town' but I'm figuring out why they don't use the name of the border town to refer to the place where you left or entered Thailand like its Malaysian counterpart (since there are many 'small towns' in different Thai borders to avoid confusion). Anyway, the change of culturescape was so abrupt and distinct. The palm-rich countrysides of Malaysia was replaced by a long line of trees on the Thailand side. Thai temples appeared. Just after I crossed the international gate, there's an abrupt change in language. The walls and the gate served not just a physical demarcation but also a cultural border. It's a single landmass separated by belief, culture and blood that cannot be reconciled as one nation. I felt so amazed. 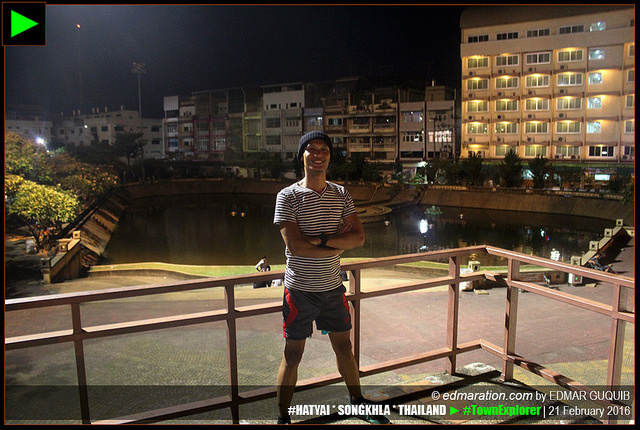 I reached the city of Hat Yai in Thailand where I also met fellow backpackers. The guesthouse where I stayed was really cheap! I arrived at night. The Chinese looking night-shift receptionist can't speak and understand English well though there's a notice posted on the wall that the morning shift staff can speak and understand English well. I spent my first night in Thailand sipping a Thai beer in a restobar with a musical band and beautiful Thai ladies—a thing I never saw and experienced in Malaysia. 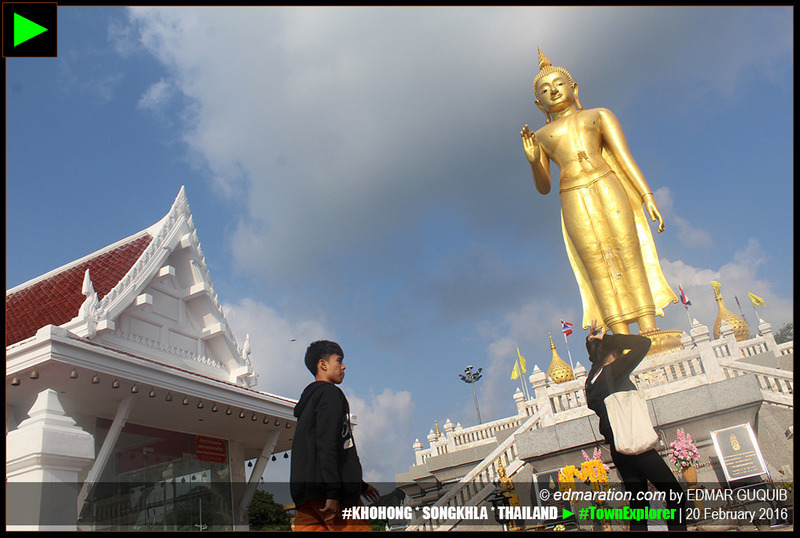 I explored the two major cities of Songkhla province: Hatyai City and Songhkla City. 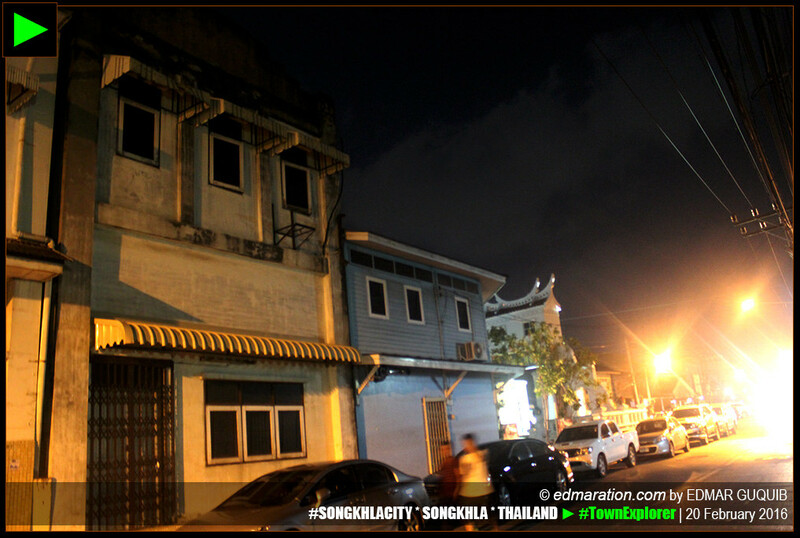 Take note that Songkhla city is different from Songkhla Province. 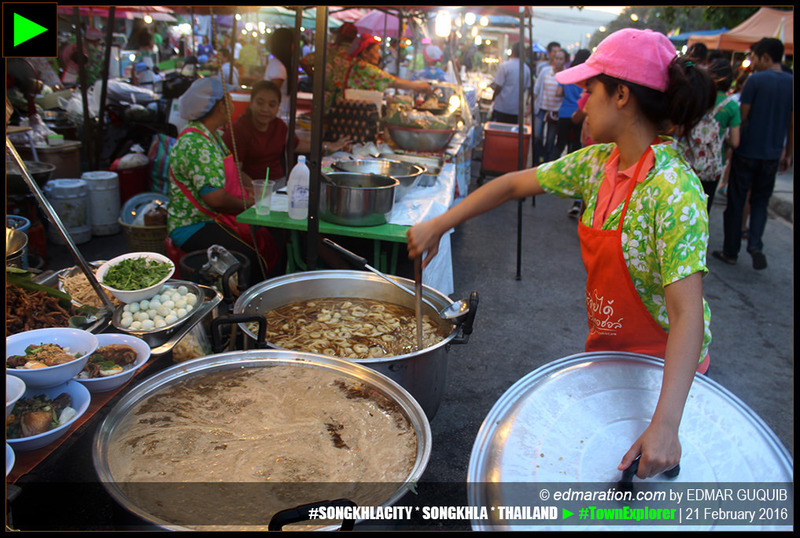 Songkhla City is the capital of Songkhla province. 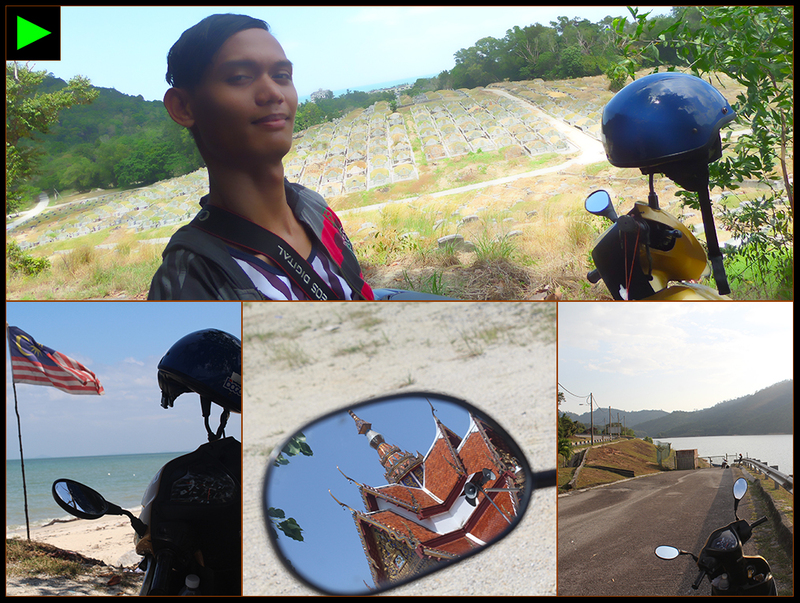 I also used a motorbike to explore these two cities as well as some of its neighboring towns. This ends the summary of my Malaysia-Thailand backpacking. My narratives and full details of my stories will be posted on the next episodes to come. If you loaded this page expecting for tourist attractions to see in less than 24 hours in Kuala Lumpur, I'm sorry to disappoint you but this is not a story of tourist spots but tourist stops. Yeah, stop here, stop there, stop everywhere. My anxiety as a first-timer almost escalated to panic level. So there's no such thing as overacting because sticking to reality is the name of the game here. I was showing physical awestruck signs overtly while inside the bus because I was seeing different races. There are Malays, Indians, Chinese, black and white men. This country is so multicultural! This is my first bus ride in Malaysia! You may not believe this but I felt so ignorant about this. There's no train station in our province so encountering a self-service machine like this in actual setting is new to me. The monorail runs overground. I saw the city of Kuala Lumpur in a general perspective up close—the modern skyline, the lush parks, the mosques, the busy roads and the residential areas. I enjoyed it. This street was where I ended my first day in Malaysia but it served as the rendezvous of my many first-time experiences and encounters so it meant so much for me. The story above is the summary of this blogserye. If you want to read more detailed stories with insights, comments, realizations and personal experiences/observations, check out the chapters and episodes above. The above story is summary of Blogserye 03.